I remember one day in 2001, when the boxes of new computers were coming, new operating system and the most important thing was new media player. The new media player was quite interesting, but more interesting to us was to test to play it. So we tested the media player using one of the sample song included in the media player, it was "Like Humans Do" by David Byrne from the album Look Into The Eyeball. 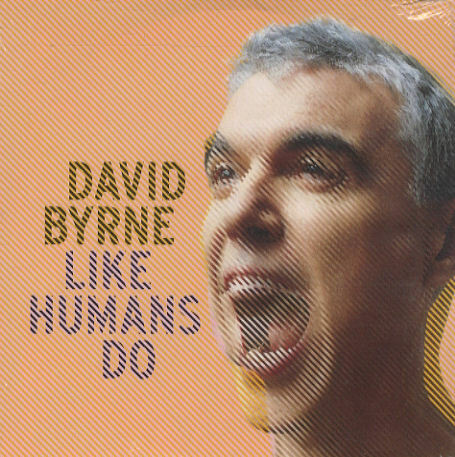 David Byrne is a musician and artist, best known as a founder and songwriter of band Talking Heads, active between 1975 and 1991. If we visit David Burne's website www.davidbyrne.com we could find what is he doing right now. He is a musician, artist, director, bicycling activist,and writer. The song is answering the ancient question of Who We Are? Who Are We? and the answer is "We are humans, because we do the things like humans do"